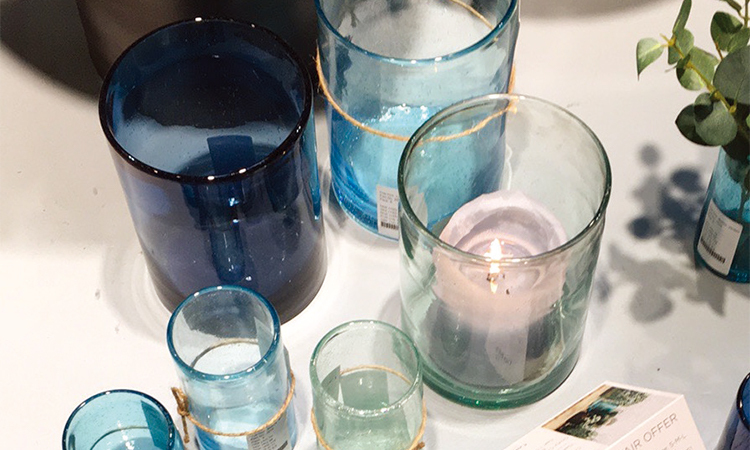 A mix of sea-greens and blue hues featured heavily in glassware in both dining and home accessories. 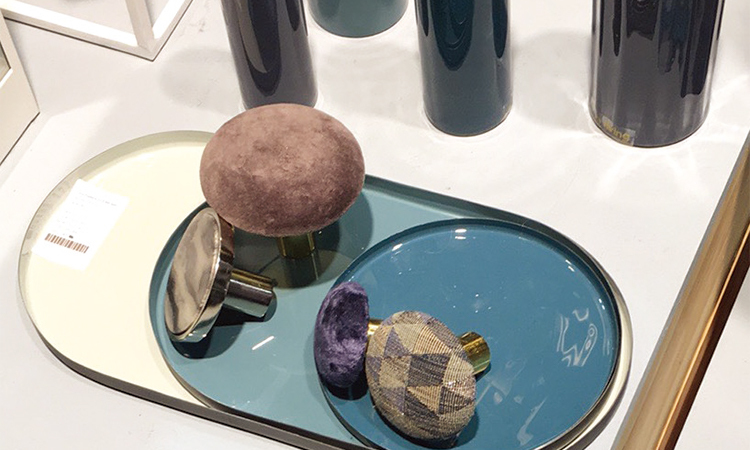 Blue was the dominant and most popular colour used however some companies such as Serax and Stelton were using a mix of colours together (pictured) making a strong impact. 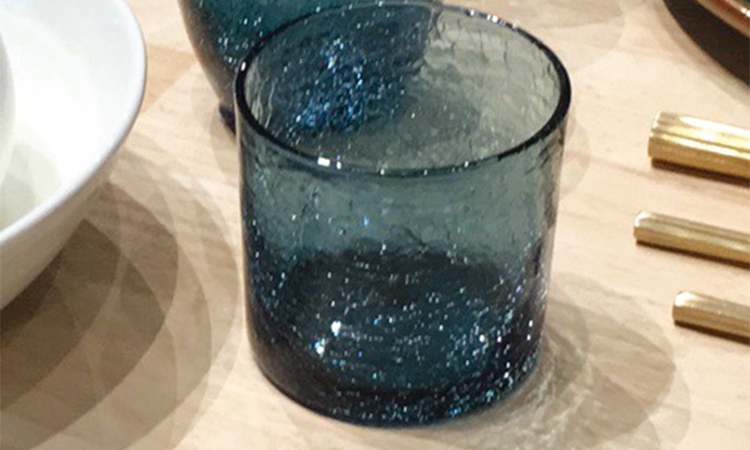 Probably the most timeless colour for glass it pairs easily alongside white dinnerware ranges as well as accenting the current trend for blue reactive glazes. 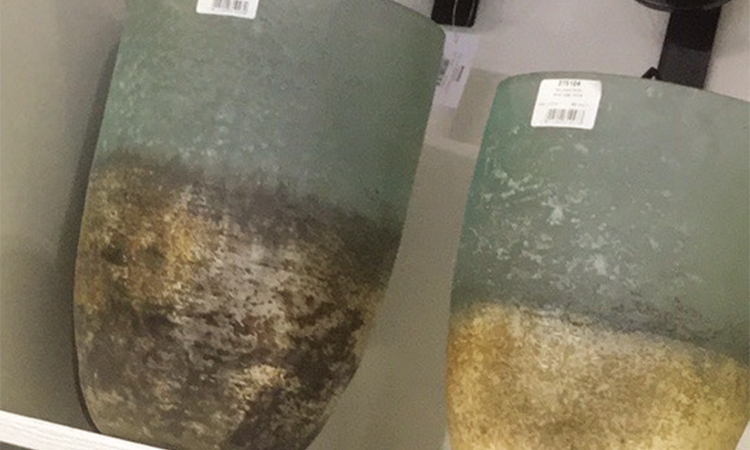 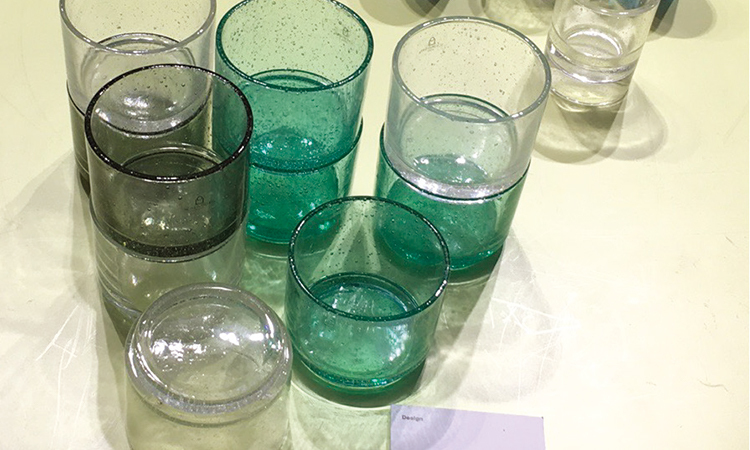 Further variations of blue/green hues were evident in home accessories, still mainly in glass but also seen on other accent items. 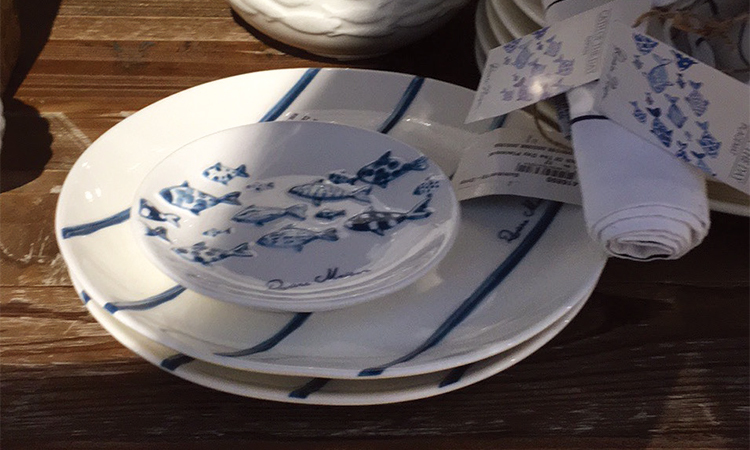 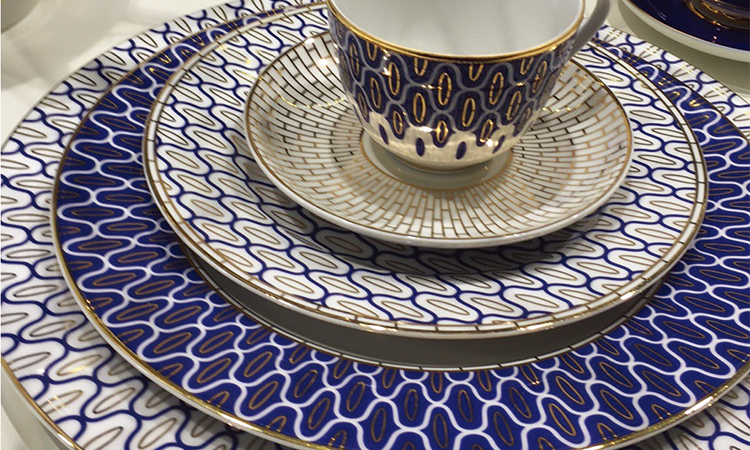 The timeless combination of classic blue & white on tableware was ever present this year. 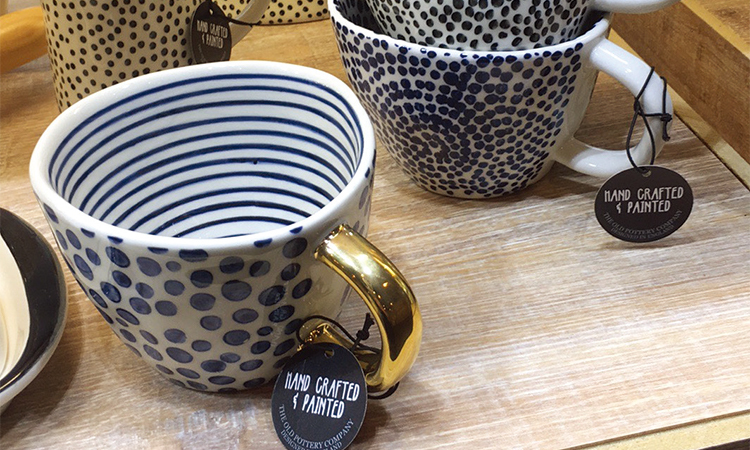 Imperial Porcelain Manufactory, Riviera Maison and Just Mugs made this look a key feature in their collections. 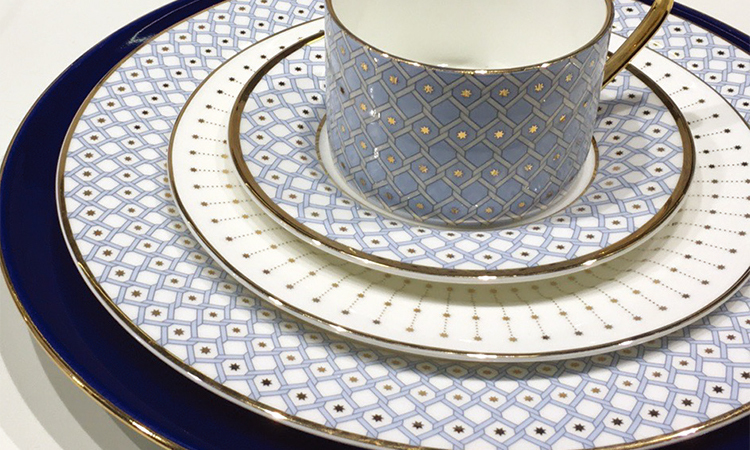 The efortless combination was styled both formally and casually and often featured along-side gold accents. 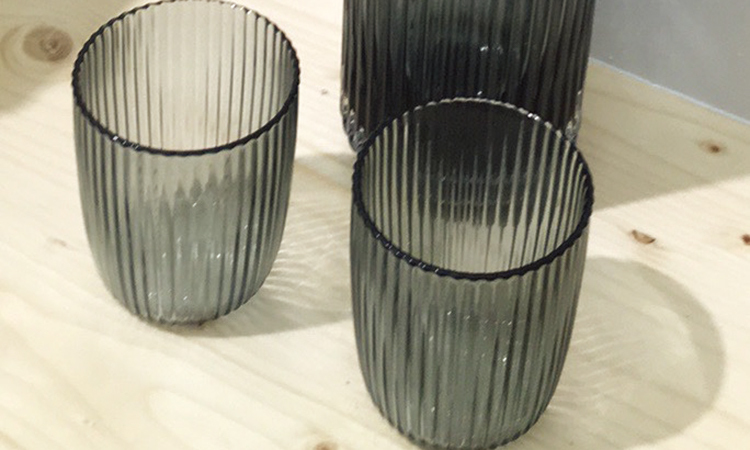 This trend is ever-present and looks set to stay around for the foreseeable future.